Turn your basic, boring down comforter into the super stylish focal point of your bedroom with the Iveta Abolina Rose Taffy Duvet Cover Set This duvet set is made from an ultra soft, lightweight woven polyester fabric with an art printed top side, a cream colored bottom side, and includes matching pillowcases (1 included in Twin/Twin XL). Functionality is a breeze with a hidden zipper and interior corner ties to secure your comforter. It's comfy, fade-resistant, machine washable and custom printed for each and every customer. And as an added bonus, each purchase supports artists worldwide. 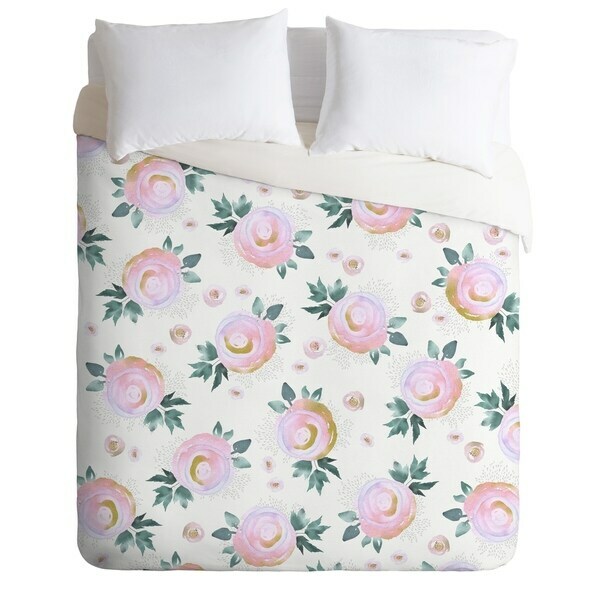 The Iveta Abolina Rose Taffy Duvet Cover Set is sure to take your bedroom to the next level!